"We are not going to be getting into a military excursion in Ukraine. What we are going to do is mobilize all of our diplomatic resources to make sure that we’ve got a strong international correlation that sends a clear message,” President Obama said. 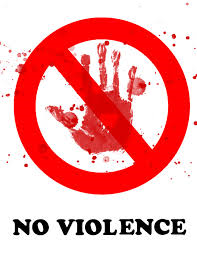 I am going to offer this as plainly as I am able: The moment you take violence off the table, you have surrendered to every single man and woman on the planet who remains willing to do violence. That is a declarative. There are no qualifiers. If you are not willing to do violence, and if your enemy concludes you are not willing to do violence, you will lose any material thing he decides to take from you - until you change your mind. And I will offer you this insight: Those who have more than a passing familiarity with violence often evolve their sixth sense and will know intuitively when facing an adversary who will not fight. Ghandi may be the goal, but as a species, we simply are not there yet.